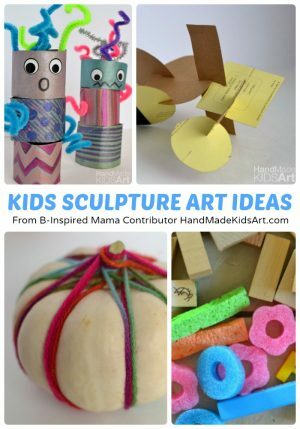 This post was contributed by Jamie of Hand Made Kids Art. 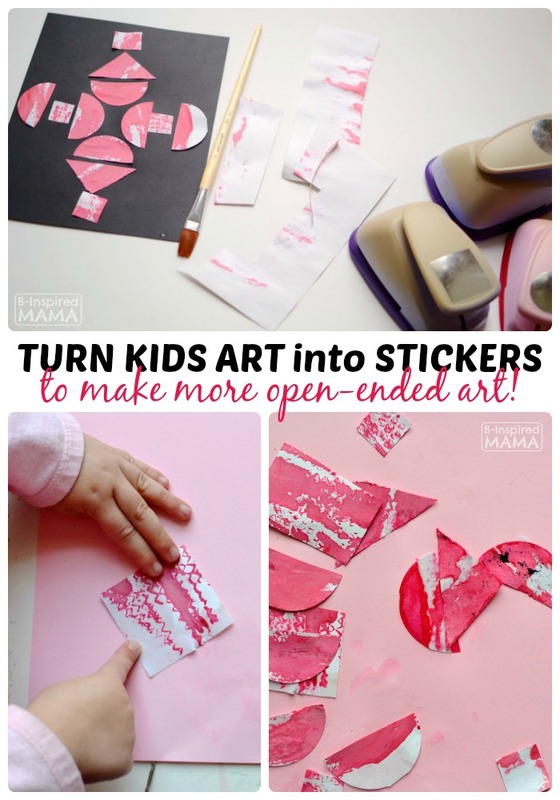 How to Make Stickers & Recycle Kids Art, Too! This art project for kids is an easy way to tame paper clutter from existing works of art and encourages creative thinking in kids. Adult help may be needed in teaching the kids how to make stickers, but let your child be imaginative in their reuse of the artwork as stickers. Step 1: Mix 1 package of unflavored gelatin into 4 T of boiling water. Mix until the gelatin is completely dissolved. Step 2: Stir in 1 tsp of coconut oil. This step is for taste and may be omitted. Another alternative is light corn syrup. 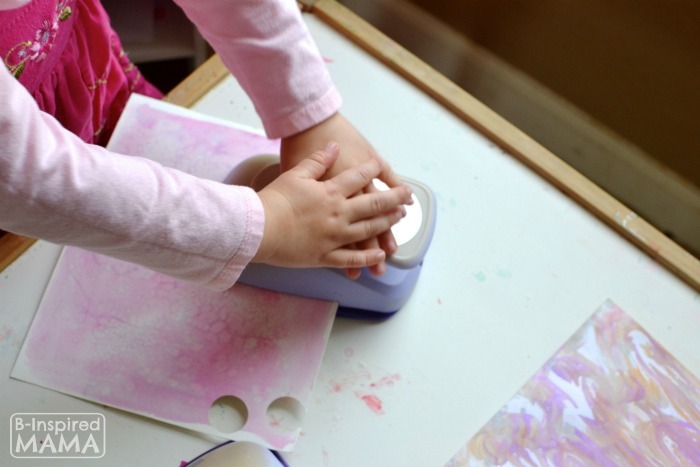 Step 3: Use a paintbrush to paint the gelatin mixture on the back of your recycled artwork. Let dry. 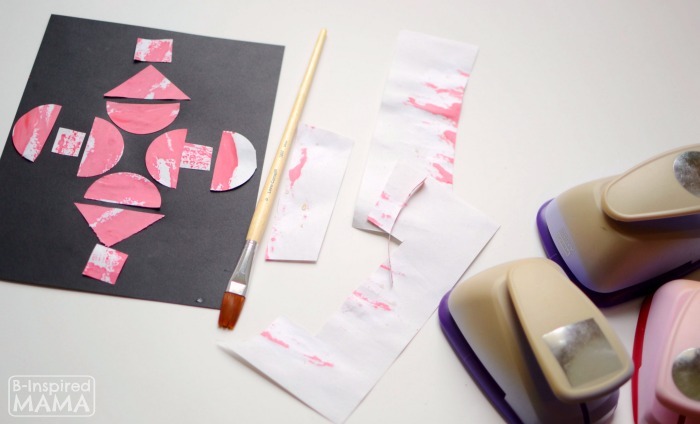 Step 4: Use scissors or a circle punch to create shapes from the artwork. Step 5: Lick and stick to create a new piece of art! Parent Tip: Turns out my children did not like to lick the stickers so I let them use a wet sponge to moisten the back of the stickers. When creating a new work of art with the stickers, be sure to let your child lead the activity. 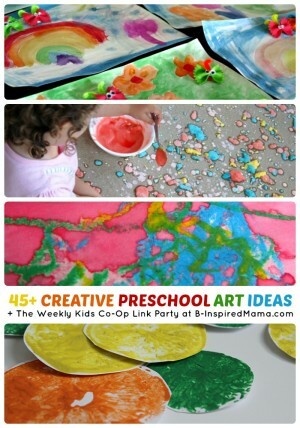 Keep it open-ended to help encourage their creative thinking and imagination. Remember, it is the process, not the product, that is important. 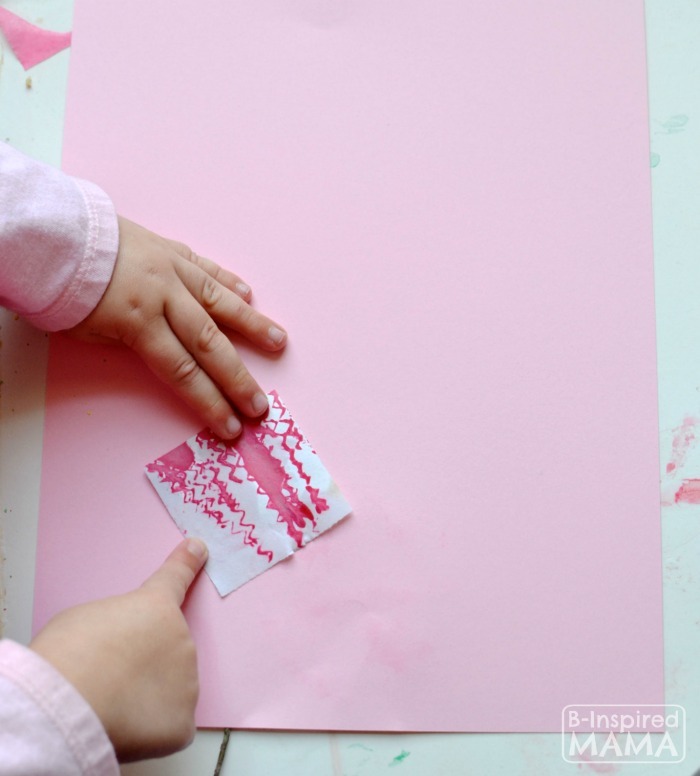 This easy art project for kids is a fun way to recreate with old artwork and helps keep the paper clutter under control. You also can use this sticker recipe to turn other papers into stickers. 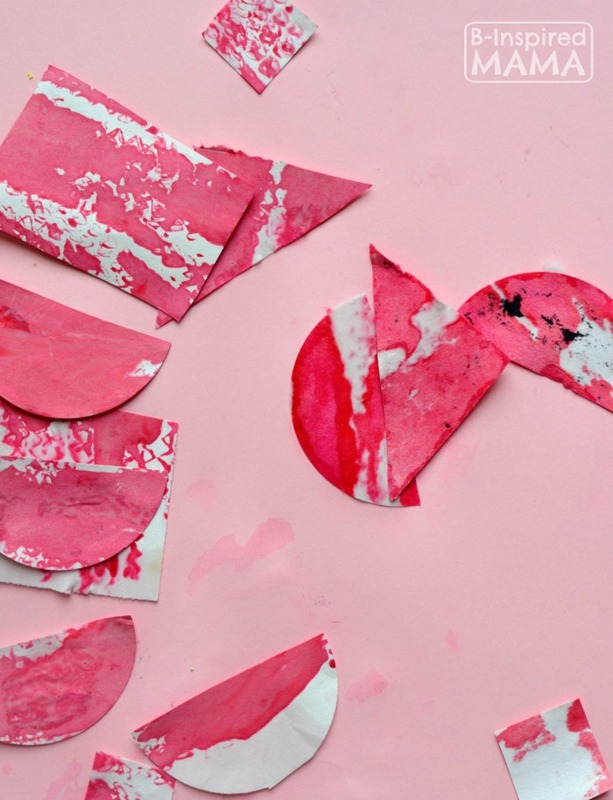 Experiment with scrap paper or magazine pages. What do you do with your old kids art? Have you ever recycled it into more art? Share in the comments below! Previous Post: « Common Core Made Easy for Parents!